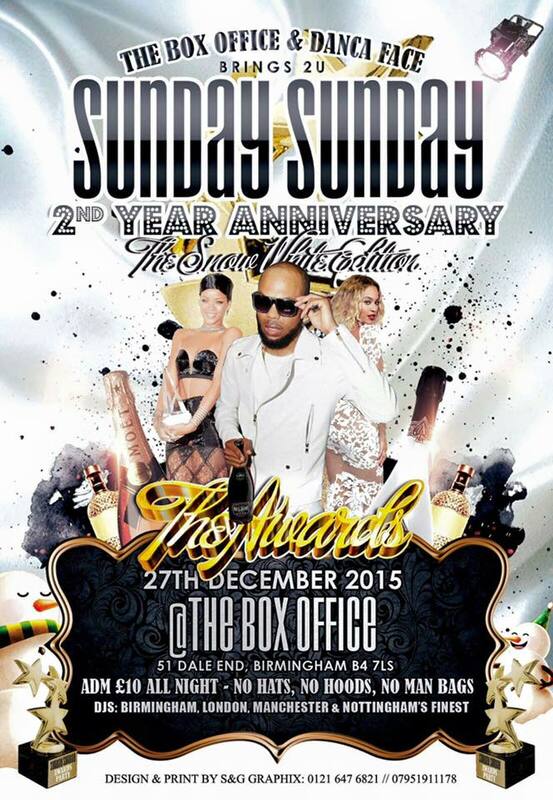 My close friend Shanice (who introduced me to Dancehall, read more here) invited me to go with her and five friends to Sunday Sunday’s Second Year Anniversary in Birmingham. Held at The Box Office, and in true Dancehall style, we arrived at 01:00 to find around 10 people there. By 02:00 the place started to fill up and we ended up dancing the night away until 06:00. This was very similar to the Hot Mondaze event I attended in Jamaica as part of Korotech Dancefest 2012. As well as the late (or early, depending on how you look at it) start time, there were other key aspects of Sunday Sunday that corresponded with my experience of Dancehall events in JA. There was the video light, panning up and down male and female dancers and the dancehall massive; a DJ and Selecta to play the tracks and talk over them to hype the crowd; male and female crews performing key steps together to gain the attention of the video light (males sharing the light whilst females compete for the light); areas of the space being reserved for specific groups and Dancehall fashion was prominent, particularly for the women. For me, Sunday Sunday went a good way to recreating the typical Dancehall space found in Jamaica. 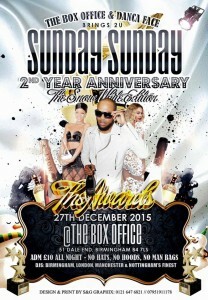 This stemmed from the organisers of the event and the demographic of the dancehall massive. 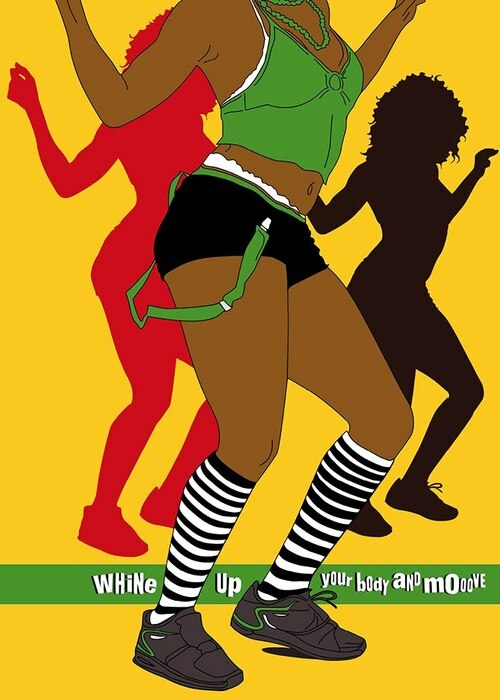 These were not general party-goers looking for some reggae, these were (of all ages) active participants in dancehall culture in their daily lives – not just in this dancehall space. Moving on to Clarks, hosted at Hifi in Leeds city centre. Comparatively, and despite the way in which it was advertised on their website, this event was definitely more of a themed club-night as opposed to a recreation of the dancehall space or a true DHQ competition. The ‘Dancehall Queens’ competing were leagues away from what I had expected. DHQs are (usually) exemplars of dancehall fashion and culture and can come from all over the world, however those participating on 28th Jan were either local university students or street dancers (or both). This is not to say their competing was without value, however they didn’t meet the Dancehall Queen title or criteria as defined by the culture from which this originates. In the second round of the competition, the competitors were asked to perform key foundational dancehall steps as indicated by the tracks they were going to play (e.g willie bounce, gully creep, nuh linga, row di boat, etc.). However, the competitors repeated steps such as puppy tail, Shelly Bounce and headtop – which either meant they didn’t have the knowledge, or chose to showcase female-only steps instead. Despite these factors, it was a good event in terms of the number of people that came, the energy in the room and the mix of old school and new school dancehall tracks that were played. I had a great time at both events and will probably go to both again when they come up, but this time I’ll know exactly what to expect – as will you!